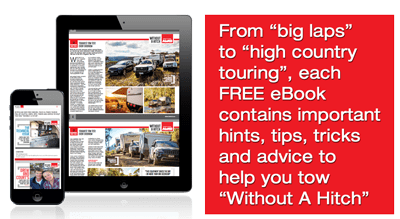 Many of the caravans and camper trailers we get around in these days are very sophisticated devices, with plenty of contemporary gear on board. Yet despite all that, the trailer lights, that is brake, indicators and running lights remain very much the same in form. There is a plug that connects to the tow vehicle, wiring that runs through to the light fittings and the actually light fittings themselves. About that only change in the last decade has been the shift from incandescent globes to the much more efficient LEDs. That’s the new technology part. What could possibly go wrong? Several things actually but the good news is that in most cases a not functional light problem is easily fixed by a handy person with only a few skills. A few simple tools will be needed – screwdrivers, pliers, maybe a fine file or 400 grade silicon carbide wet & dry paper or steel wool, WD40 or similar and maybe a digital or analogue multimeter. An alternative to the multimeter is a 12V globe test probe but a multimeter is much better and these days not too expensive. Just the other day I bought one for $20.00 on a Saturday special from that well known German supermarket chain! Not particularly sophisticated but it will test for 12V and 240V voltages as well as wiring with an open circuit. 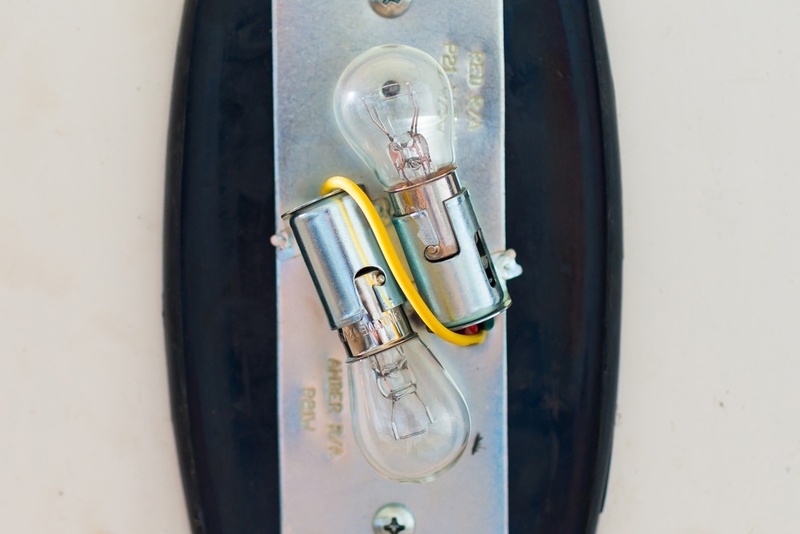 If any caravan/trailer lights are not working, then the first thing to check is that the trailer plug and socket are properly connected. That might sound like a simple thing but it’s a good place to start. 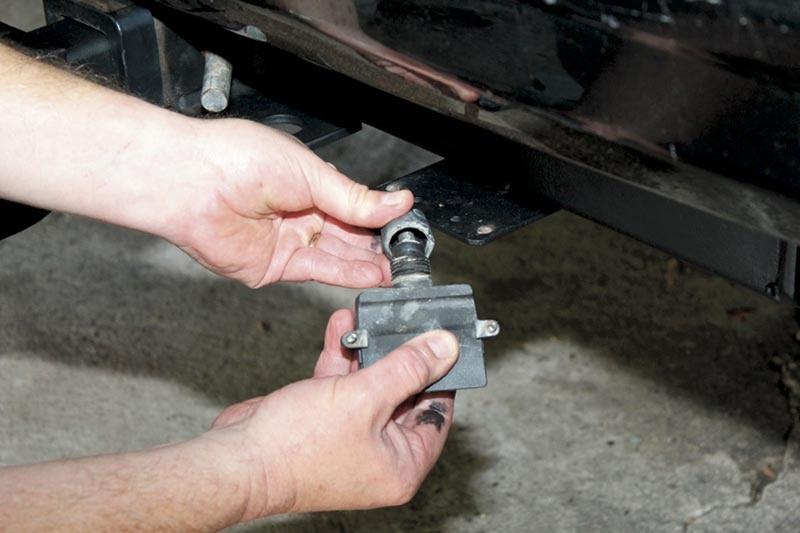 Caravan/trailer plugs are particularly vulnerable to damage from either rough tracks or being pulled in and out. 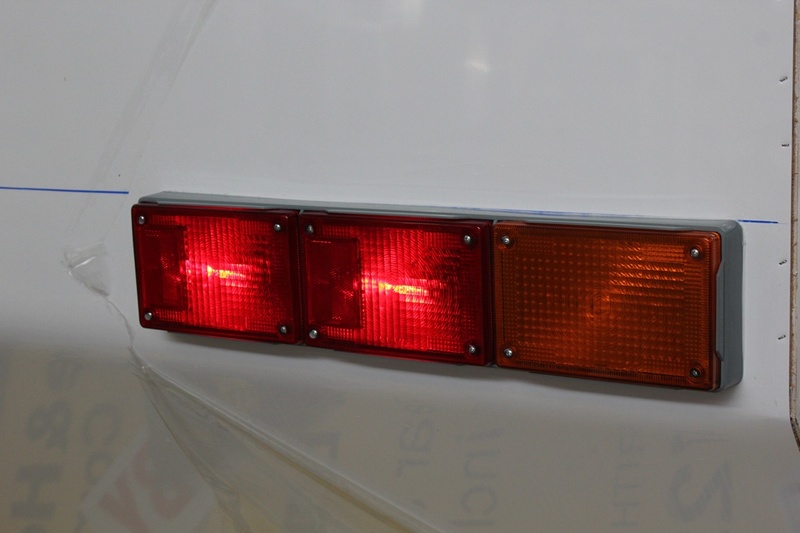 Correctly functioning trailer lights rely on an earth return to the negative of the battery. If that becomes disconnected somewhere then either all the lights don’t work or they behave in an erratic way, something that is much more confusing than the explanation. If a light stops working, then the first thing to check for is that the globe is working. With an incandescent globe that is usually quite simple to see – the light element will be broken and/or the interior of the globe is black. 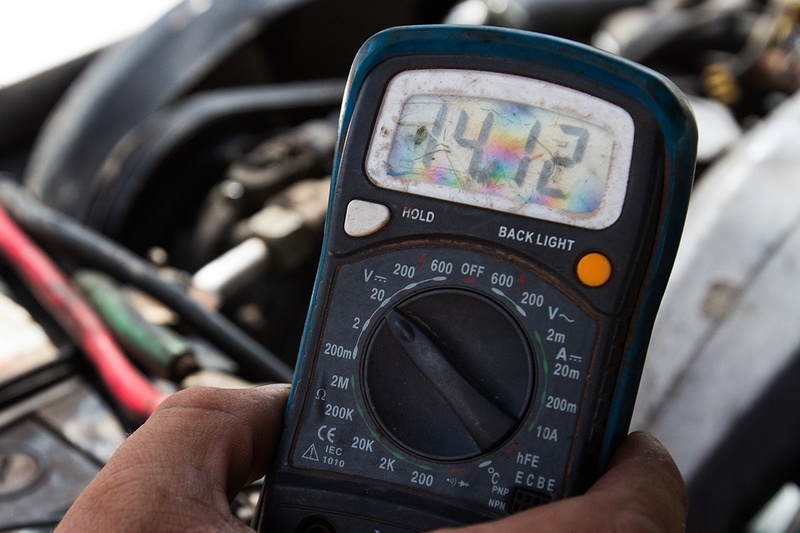 However, if that is not obvious, then either check with a multimeter using the ohm scale – a good globe will show a near short circuit, a dud globe will show a very high resistance – an open circuit. A simpler way to check either an incandescent or an LED globe is to put a 12V supply onto the globe either by plugging it into a light fitting that does work or hooking it up to a 12V battery – making sure in the case of the LED globe that the polarity is correct. If the globe is good then it’s time to check the actual light fitting. A problem that frequently occurs in older vans is that water gets into a light fitting, which causes corrosion and bad joints. Clean up all the contacts and connections by using wet and dry paper or a fine file. Also remove any condensation using a dry cloth or WD40 should improve things and finally, as a preventative measure, just have a quick look at the seal as well. If that is all okay, then the next check is to determine whether the voltage to the light is correct. That can be done either using a 12V test light or else a multimeter, set on either 12V DC or higher scale. Note checking across the contacts as well as each one to earth/trailer chassis, might show a defective negative/earth cable rather than the positive supply. If that flags up a problem, the usual source of wiring issues is the trailer plug and socket but if not that, then it might be time to seek professional help.